﻿ Parfumbar - Business - How to start? It just takes 4 simple steps to start earning! 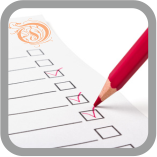 We ask you to answer the survey and give us a few important details, so that we can assess your commercial demand. WHAT KIND OF PB SYSTEM ARE YOU INTERESTED IN? Independent commercial stand in a busy environment such as a shopping centre or and airport. Mobile case used with door-to-door sales. WHAT IS YOUR START OF THE INVESTMENT DATE, AS PLANNED? HOW MUCH SPACE ARE YOU ABLE TO PROVIDE FOR THE PB SYSTEM? WHAT OBJECTIVES DO YOU WANT TO ACHIEVE IMPLEMENTING OUR SYSTEMS? ARE YOU INTERESTED IN BUYING OUR RECONNAISSANCE PACKAGE? Upon request, we will contact you via email or telephone to answer all your questions. We offer independent commercial stands for your disposal - they work ideally in busy environments, such as shopping centres and airports - as well as the systems complementing the business you run in your salon. Learn more about the ParfumBar® systems. We will send you a detailed offer including the information on price, the description of a chosen PB system and payment options. 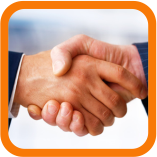 We offer both new and used (during trade fairs) systems, instalments or funding options - JUST ASK! Optionally - choose a reconnaissance package. Learn how accurate the choice of aromas can be and have a ParfumBar® active day when we together encourage your customers to buy the perfume, training your staff on the occasion of showcasing the product. 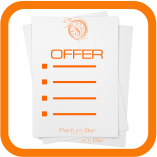 Remember that... ParfumBar® is an ideal solution for the customers who wait for their appointment, eg. in a hair or beauty salon. Thanks to the tablet they can while away the time, selecting personalised perfumes. And what about you? You will gain regular customers and additional income. 3. Choose the reconnaissance option in the survey. ParfumBar® is an ideal solution for the customers who wait for their appointment, eg. in a hair or beauty salon. Thanks to the tablet they can while away the time, selecting personalised perfumes. And what about you? You will gain regular customers and additional income.